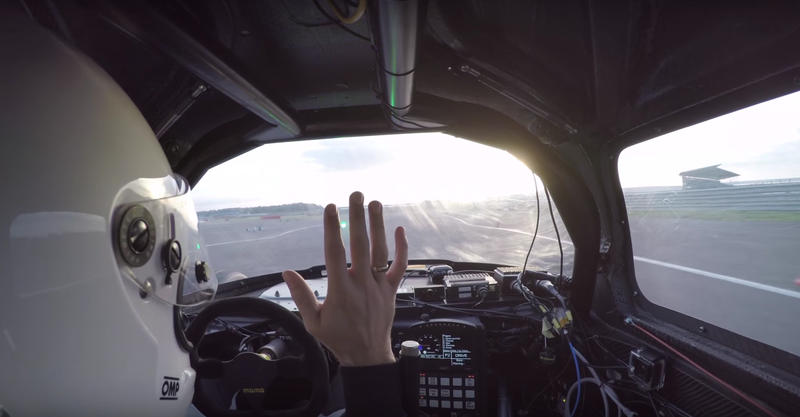 For clarification, the race car featured in the video below is a test mule for the new Roborace, an electric, self-driving racing series that’s eventually planned to act as a support series for the FIA Formula E Championship. Tesla’s Autopilot and things like it are driver-assistance systems rather than a fully autonomous ones, so don’t take that reference too seriously. Anyway, Roborace has a video series in which they document their progress—struggles and all—as the series tries to get off of the ground. The series hasn’t had the easiest time so far, as it originally planned to take off for the 2016-2017 race season. Roborace missed that deadline by a long shot, and also failed to get a test car out on the race track for its first public demonstration in October. The series brought two test mules to Silverstone Circuit recently and put at least one poor human inside for some laps. The video shows a team member hop into a car, no hands or other interference, and let the it take off around the track. No, thanks. That’s terrifying. Robots are terrifying. Everything is terrifying. The future is a scary place. Remember the ‘90s, when moon shoes were the hip, new, sometimes scary technology?